The drama series is based on the manga and anime of the same name, both created by Fujisawa Tohru. The story is a sequel of lesser known series Shounan Jun'ai-gumi (Shounan Love Gang) where Onizuka Eikichi's rogue high school days are depicted. 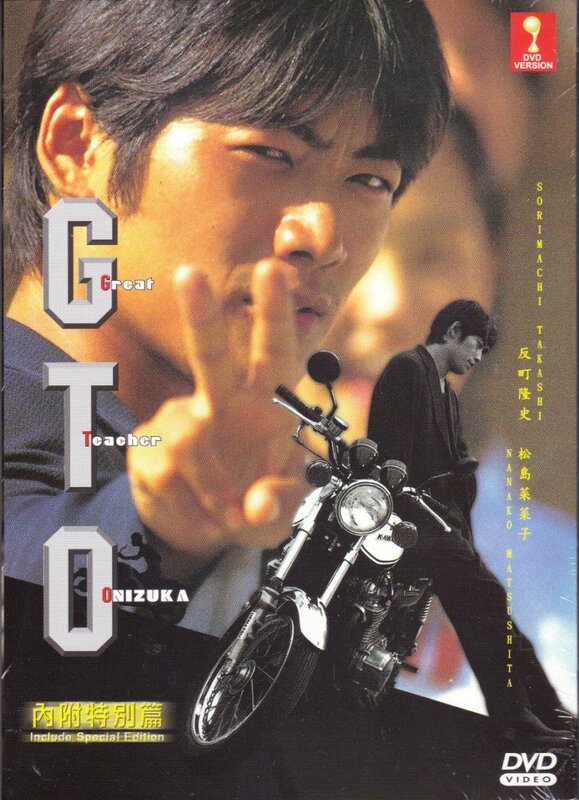 Sorimachi Takashi plays Onizuka Eikichi, a graduate of a third-rate University and the leader of a motorcycle gang, whose lifelong dream is to become a teacher. After being hired by a seemingly eccentric director, Onizuka begins his unconventional way of teaching a hopeless group of troublemakers. Although he meets much opposition from the students and teachers themselves, his passion for teaching, and more importantly, his students, eventually convinces everyone that Onizuka truly has the makings of a great teacher. Theme song Poison by Sorimachi Takashi. - Title is Authentic, Certified and Approved by Malaysian Censorship Board and comes with Original Hologram sticker! Office Space [WS] [Special Edition] [DVD]  FREE S/H!